Megasaw have been working with concrete since 1982, and have completed a number of prominent projects, including the Wonthaggi desalination plant, the Regional Rail Link and the removal of the Springvale Level Crossing. We work on commercial projects as well as residential ones and you can rely on us to always deliver an impeccable service. Look no further if you need concrete cutting South Wharf service! We offer services such as sawing, drilling and grinding. We have over 30 years of experience in this field and can work on any project, regardless of size or complexity. We will always deliver the best workmanship and service from start to finish. You can count on us to send an expert to your worksite within the same day if you need a quote right away. We will complete the work on time and on budget. And we will take care of cleaning the job site when the project is completed. Safety is one of our top priorities. Everything is done according to industry procedures and you can expect high-quality workmanship regardless of the project we are working on. We are one of the largest concrete cutting South Wharf companies. We also provide concrete cutting, grinding and related services in nearby areas, thanks to our convenient mobile container. 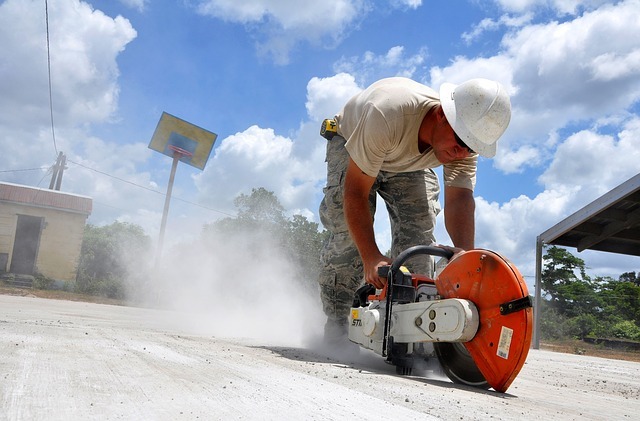 Give us a call at 1-800-287-288 if you need a quote or have any questions about our concrete services.